Why Choose Radiant Dental Care? Radiant Dental Care is a frontline dental and oral healthcare medical facility of India. The professionally managed leading Clinic is located conveniently in the metropolitan city of Chennai in the state of Tamil Nadu. Radiant Dental Care has treated scores of patients successfully for regular to complex cases utilizing its cutting-edge medical technologies and expertise. Considered as a comprehensive dental and oral care clinic, it regularly receives patients being referred to for advanced treatment and rehabilitation. Radiant Dental Care is distinguished as a full-fledged medical facility having specialized sections, staffed by highly qualified and experienced doctors and surgeons for exhaustive consultation. All the consultants here hold masters degrees (MDS) representing different disciplines of dentistry. They work on individual cases and coordinate with colleagues as and when necessary to approach the problem to diagnose, treat and carry out surgical procedures. Our Endodontists, (3) Prosthodontists (3), Orthodontists (3), Pedodontists (3), Oral Surgeons (3), Implantologists (2), Smile Designing & Cosmetic Specialists (2) and Resident Doctors work dedicatedly; assisted by the dental assistants and technologists to provide the best dental and oral care to the international patients. The international patients are provided with treatment for medical problems or issues such as Root Canal, Teeth Whitening, Pit & Fissure, Wisdom Teeth Removal, Full Mouth Rehabilitation, Gum Correction, Sedation, Fixed Artificial Teeth, Invisible Braces, Smile Design & Aesthetics and Dental Implants., etc. The qualified dental surgeons regularly attend training courses or sessions offered nationally and internationally covering new and latest development in dentistry research and treatment protocol. The International Patient Care Division of Radiant Dental Care is a center of excellence being an advanced medical facility with the latest medical technologies and consulting dental surgeons having expertise in various aspects of dentistry. These doctors are specially oriented to provide high-end medical services to patients coming from countries across the globe. The treatment facilities available here are designed to be at par with that of the developed countries. However, international patients wishing to get treatment at Radiant Dental Care are assured of substantial saving in terms of cost of treatment, in comparison to their countries of origin. Dental Tourism is an established concept and patients from the developed countries take to the sojourn to heal themselves while visiting the countries where they wish to receive treatment. The main advantage of dental tourism is that like the developed countries the treatment facilities available elsewhere could still be comparatively best. For example, patients can get world class dental treatment at Radiant Dental Care of India and recuperate fast amidst natural surroundings or by visiting places of tourism interests by spending less; which can go up to 70 % depending on the type of treatment undergone and the country of origin of the patient. International patients coming to Radiant Dental Care for treatment can expect a welcoming and friendly medical community ready to take personalized care. Here, the international dental tourism patients are considered as guests having special needs for treatment. We make all out efforts to make the patients comfortable and relaxed while being with us. International patients requiring dental and oral treatment of high standard in our world class medical facility can contact us to discuss about their specific health problems. A qualified doctor or surgeon of Radiant Dental Care after learning details of the ailment would suggest possible treatment options, duration of stay and costs involved to complete the process of recovery. 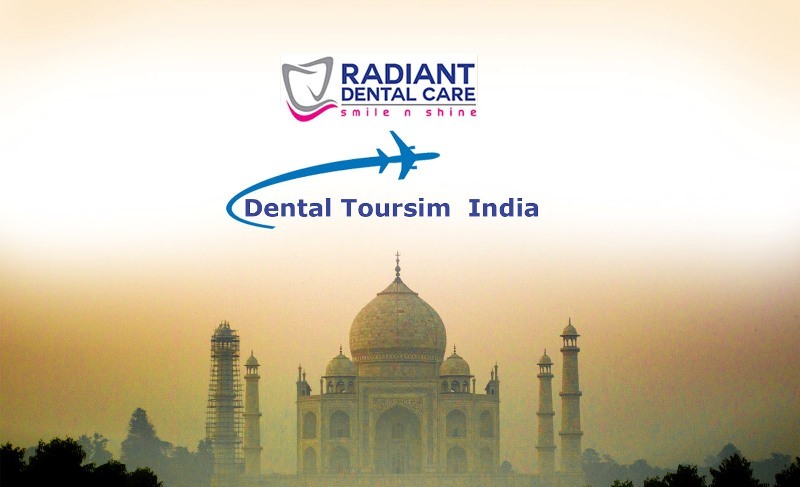 After the patient gives consent to travel to avail the treatment, the reception desk of Radiant Dental Care finalizes plans for the visit, assisting the patient to obtain the medical visa to visit Chennai, India. Upon arrival at Chennai, the patient is received by our courteous staffs at the airport and suitable accommodation is provided as per the preference. Depending on the duration of completion of the treatment, the patient is helped to visit important places of tourism arranged by our attending staffs. While at the care of Radiant Dental Care, the various needs of the patient are taken care of as far as possible; including arrangement for return journey to the home country. International patients requiring information about Radiant Dental Care and to finalize their visit to Chennai, India for treatment can contact our International Patient Care Division over phone or Whatsapp. The patient are subsequently guided by a qualified doctor as to how to go about the treatment and the costs involved, among other things of import.